The CPMR was invited to contribute to the last REGI Committee meeting of the European Parliament on Wednesday 9 November to exchange views with MEPs on the vision of the future of Cohesion Policy for the post-2020 period. The meeting was held one week after the CPMR adopted its position paper on the future of Cohesion Policy at the General Assembly in the Azores on 3 November. Enrico Rossi, President of Tuscany Region (IT) and Vice-President of the CPMR, stressed that the original policy objectives to reduce regional disparities are very relevant in today’s difficult political and economic context. President Rossi said the European Commission should prepare a European investment strategy combining the strengths of Cohesion Policy and the Juncker Plan. In addition, Nicolas Brookes, CPMR Director for Cohesion Policy, provided the MEPs with an update on studies developed by the CPMR with its Member Regions on subjects linked to Cohesion Policy: “The territorial dimension of Cohesion policy financial instruments” and “The role of regions and partnership in Cohesion Policy for 2014-2020”. At the meeting, the CPMR also advised that Cohesion policy remains the main investment policy for EU Regions that has proved its success but that it is currently confronted with many challenges, including that of a lack of visibility at the highest level in the European Commission. The CPMR stressed that Cohesion Policy is vital to economic growth across all of Europe’s territories and that it must be strengthened and modernised to meet the changing priorities of the EU. Many MEPs agreed with the CPMR proposals for post-2020 Cohesion Policy, particularly regarding the need for proper synergies between Cohesion Policy and the Juncker Plan, the need for more simplification and that the policy should cover all European regions after 2020. Finally, there was a general consensus that the regional and local authorities have to be fully involved in the discussion on the design of the future Cohesion Policy. The CPMR was invited to continue sharing its analysis and proposals for post-2020 Cohesion Policy with the REGI Committee in the future. Watch a video recording of the CPMR contribution to the REGI Committee meeting of the European Parliament (begins at 15.38). 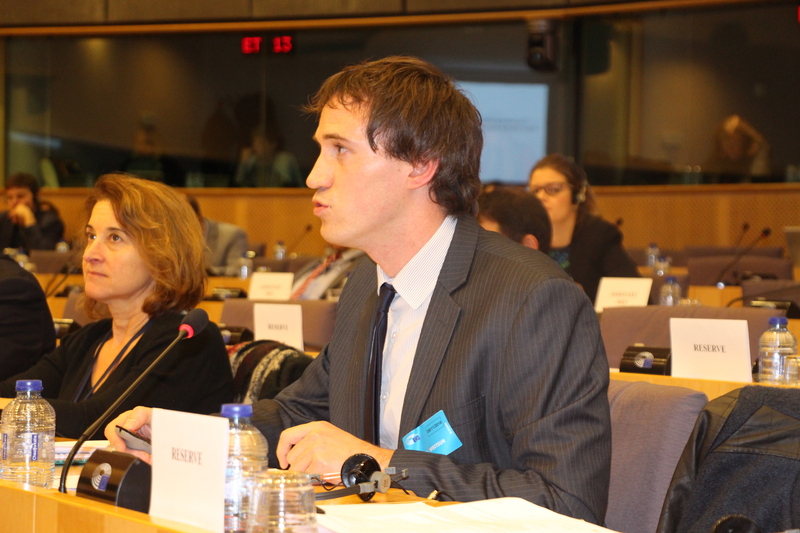 The CPMR was also invited to a meeting of the High Level Group on Simplification of Cohesion Policy on 29 November. The High Level Group was set up last year to develop proposals to simplify Cohesion Policy for the post-2020 period and is chaired by Siim Kallas, former Commissioner for Transport. Nick Brookes, CPMR Director for Regional Policy presented proposals based on the recently adopted CPMR position on Cohesion Policy.